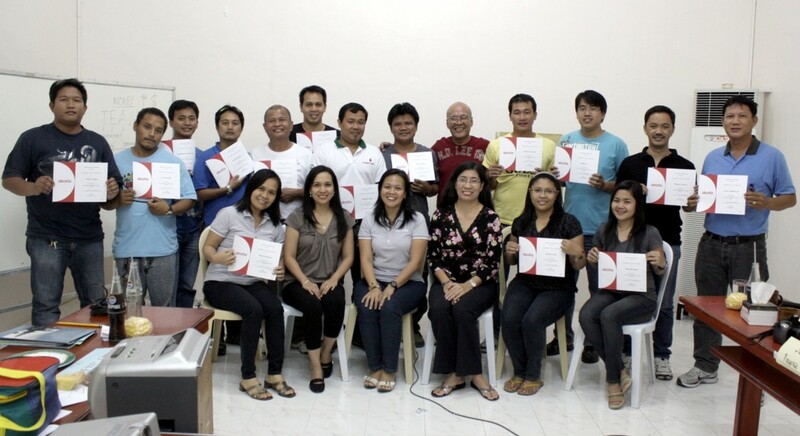 LEARNING THE GOOD HABITS: The 3rd and final batch of Cotabato Light team completing the 7Habits seminar-workshop on September 15-16, 2011 which was facilitated by Ms. Mia Franco-Baguio. Again, it was held at Saint Joseph Retreat House on September 15-16. The facilitator and resource speaker was Zamyra “Mia” Franco-Baguio from Leaders Link - a training and consultancy firm from Cebu City and an accredited trainer of Franklin Covey Inc. The seminar provided useful and sequential framework in understanding the process of Personal Development. The first three habits refer to self-mastery, moving from dependence to independence. Our lives, happiness, security and even our successes are coming from within – our inner selves. It comes from living our lives with an integrity that reflects our true and deepest values. Habit four, five and six has to do with interdependence - working well with others. Practicing and developing the first three habits will grow our circle of influence that will ultimately lead us interdependent reality. With these habits, we constantly seek mutual benefit (win-win) in all of our human interactions. And, communication with emphatic listening is the key to strengthen inter-personal relationship. By putting ourselves inside another person's frame of reference so that we could understand their paradigm and how they feel. And, with mutual understanding, teamwork can easily be done. The last habit refers to self-renewal. It is preserving and enhancing the four dimension of nature: physical, spiritual, mental, and socio-emotional. Always looking for better ways to improve what we are currently doing.